We love our sweet C girl and all the feistiness and love that she adds to our family! 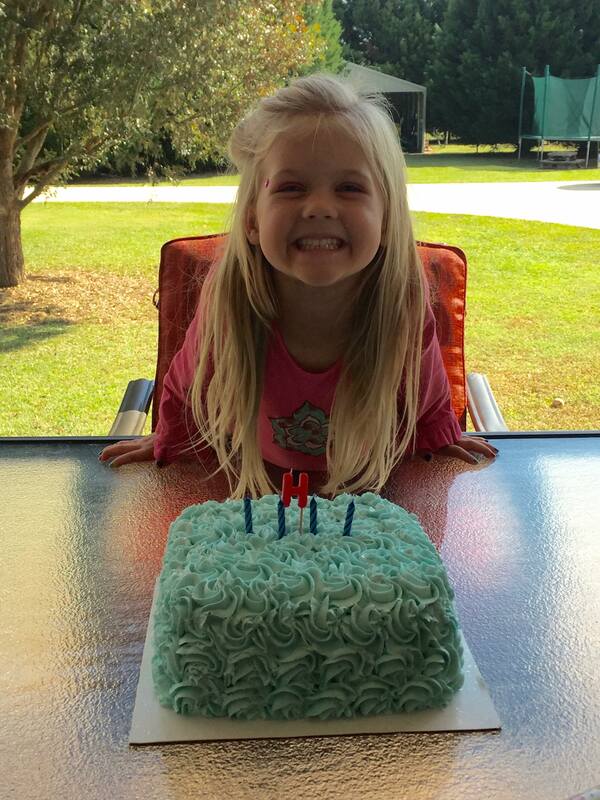 At three, you are SUCH a girlie girl. You pick out your own clothes to wear each day, and it always consists of something pink and a skirt or dress. You will tolerate pants or leggings but only if it is cold outside. You love to wear headbands, pig-tails and sleep in curlers. You are slowly no longer wanting to nap. This can be exhausting, because you are pretty high maintenance at this age. You say “Mommy?” approximately 536 times a day. You are becoming more independent, but still need a lot (like getting a glass of milk, help going potty, wanting to play a game, or read a book). However, Sadie does spend a good bit of time entertaining you. You are completely potty trained even at night! EXCITING! You love playing with your siblings, and most often want to do what they are doing. Some days you say you are a big girl and say you don’t want to be a TODDLER anymore, but other days you tell me you aren’t a big girl. Such are the whims of a three- year old. You are a pretty good eater. You absolutely LOVE cheese. You also love milk. You don’t seem into sandwiches or bread, but love macaroni and cheese, lunch meat, and crackers. You will eat any fruit we have. You are for sure feisty. You are VERY strong willed, demand your own way, and still insist on screaming at the top of your lungs when things aren’t going your way (not one of my favorite traits). You have come a long way, however, we all hope that you quickly learn that is inappropriate. The problem we encounter the most is that you often get your way because no one likes to hear you scream (not necessarily because we are all so compassionate for “the baby”, but because it grates on all of our nerves) so whatever toy or book or item you are screaming about will usually get handed over to you. You express frustration easily with a growl or sticking out your tongue, and on the occasion, you bite. But you are so, so sweet. You love to snuggle and give hugs and kisses and climb in laps. You love to say “ Mommy, I love you.” Your Daddy puts you to bed every night, and you snuggle and it’s just so sweet. Three is the big year for the Perdue children to move out of their cribs and into a big bed. So, just as in years past, we took the crib down and Caroline started sleeping upstairs with the girls. No more diapers and No more crib! The Perdue Crew is growing up. This sweet girl is a First 5k Finisher!! We had a rough start, followed by potty break in the woods at the 1.5 mile marker. However, we finished the race and we finished in about 45 min. She learned what it felt like to finish a hard thing and run through the finish line. She says that it was the “second” worst day of her life, but I think she will do another one with me. Gracious and Pure. Your joy is radiant. Anna Kate, YOU are great. YOU are eight. You are our first girl. Our flittering flower. You have a song in your heart and in your mind at.all.times. Thank you for showing us all of the colors of the rainbow. You see them all. You love so beautifully. At this point in your life you want to be a fashion designer, a mom, a world traveler who knows languages and can tell others about Jesus, and an artist. Who knows where God will lead you, we just pray that you will keep your eyes on Him. I looked up the word manic because I wasn’t exactly sure of it’s meaning, and it turns out that’s not really the kind of Monday we had. Perhaps that would have been a better title? Just another nostalgic Monday. Although that wouldn’t really sum up our Monday either. Today was just one of those days, if I’m being honest, where I thought “perhaps 5 is too many.” Do you ever have those days? Well, I guess this only applies if you have 5 (or more!) children. And I know it’s not true, I know that God’s grace is sufficient, and I can handle this season, but today that knowledge didn’t seem to stop the thoughts: TOO MUCH. It doesn’t matter how many children you have, being a Mama is HARD and challenging and we all have those days. Let’s just say the eldest child has been wanting things his way. Of course, I’m no different. I’m just not 10. I just want kids that don’t fight, babies that don’t cry but do nap, children that play quietly, dinners that make themselves and while I’m at it, no wrinkles. I WANT WHAT I WANT. But, every one of these things is unrealistic. My kids argue, my baby cries and screams through naps, children run through the house screaming, I must make dinner if we don’t want to starve and wrinkles are inevitable. Oh, the unfairness of it all. I think that the main thing I have learned since having five is that I’m lazy and just want an EASY LIFE. I don’t want to stop what I’m doing to correct my children and break up an argument. I don’t want to take twenty minutes out of my day to rock my baby, I want her to fall asleep without screaming just like she does for her daddy. I want to talk on the phone with my Mom or a friend without hearing “MOM!” a dozen times. I don’t want to have to flush the toilet EVERY TIME I walk into a bathroom in this house. And I’ll get all these things, in a different season. Not now. So for now, I press on. I fight the good fight. Sometimes parenting is a fight, isn’t it? It’s a fight against laziness and ease and selfishness and ME ME ME. I’m learning. I’m pressing. At the end of the day, with the ones I love most gathered smiling around the dinner table, I am thankful. I am thankful for small victories: a load of laundry, a homemade dinner, books read to my kids as the afternoon fades. I am thankful that I am allowed to live this life, and get a glimpse of His glory and love in these sweet little faces that call me Mama. I am thankful for the work that it does on my heart, and for the countless ways that being a Mom makes me cling more to Him. How else could I learn these things? And perhaps most of all, I am thankful that tomorrow is another day. This girl is the true definition of the days are long and the years are short. Sadie and I have had some long years, but I can honestly say we are having the best time now. We have a lot of fun together. She loves to wear gym clothes, take a little run, and take care of all people. She is fabulous! She has never been far from my side and that surely hasn’t changed. I trip over her multiple times a day. 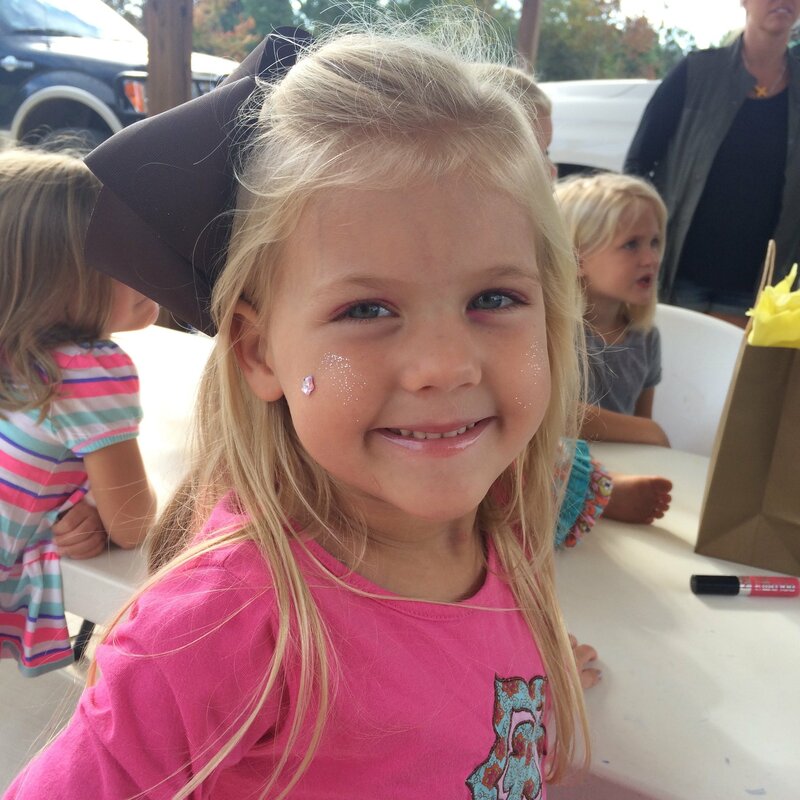 I am so proud of my sweet girl and there are some things I would like her to know on her 5th birthday……..
1. You maturing into a beautiful little lady, inside and out. 2. You are a wonderful big sister. 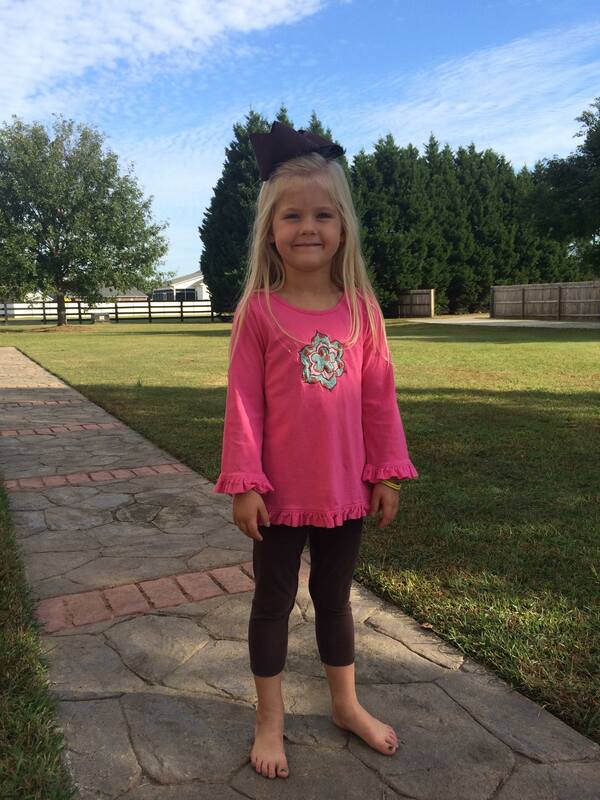 You walk your little sister, Caroline to her preschool class each Tuesday and Thursday. 3. Your favorite color is red and pink. 4. Your favorite food is momma’s mac n cheese and watermelon. 5. 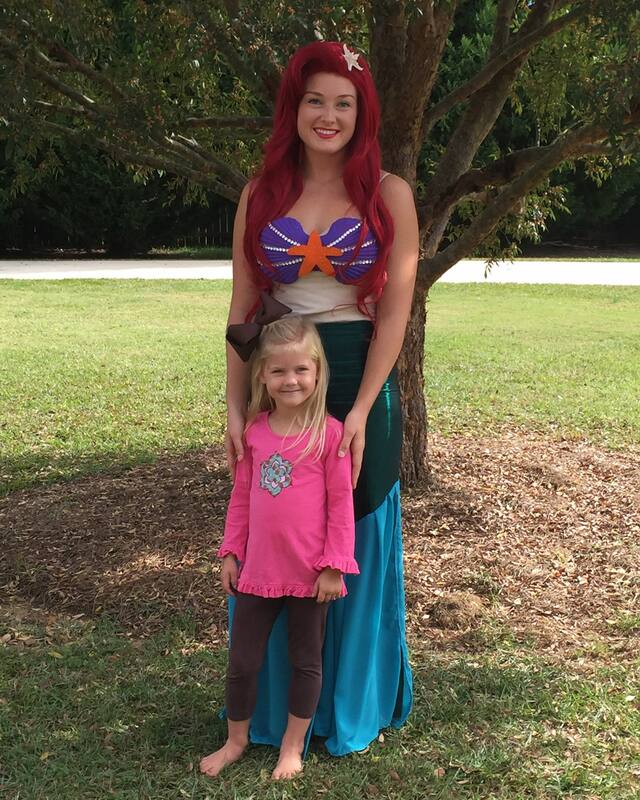 You had an Ariel Birthday Party for your birthday. 6. You asked for make-up and a “fart” cushion for your birthday presents. 7. You tell me all the time how you are going to live close to me always. 8. 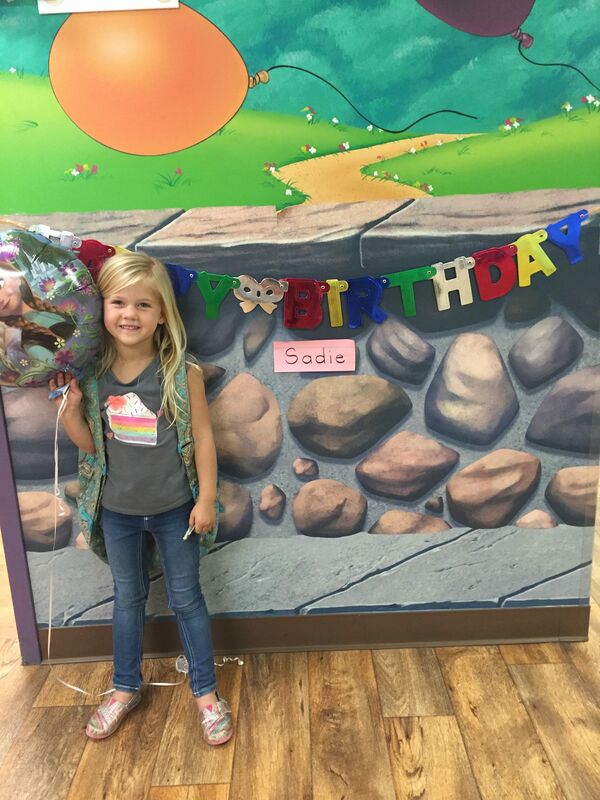 You are smart and you love to teach school or play Dr. Sadie. 9.. You like to skin the cat on the monkey bars. 10. You are loving and loud, sweet and sassy. Your smile and facial expressions crack me up because i can see glimpses of the fifteen year old you. 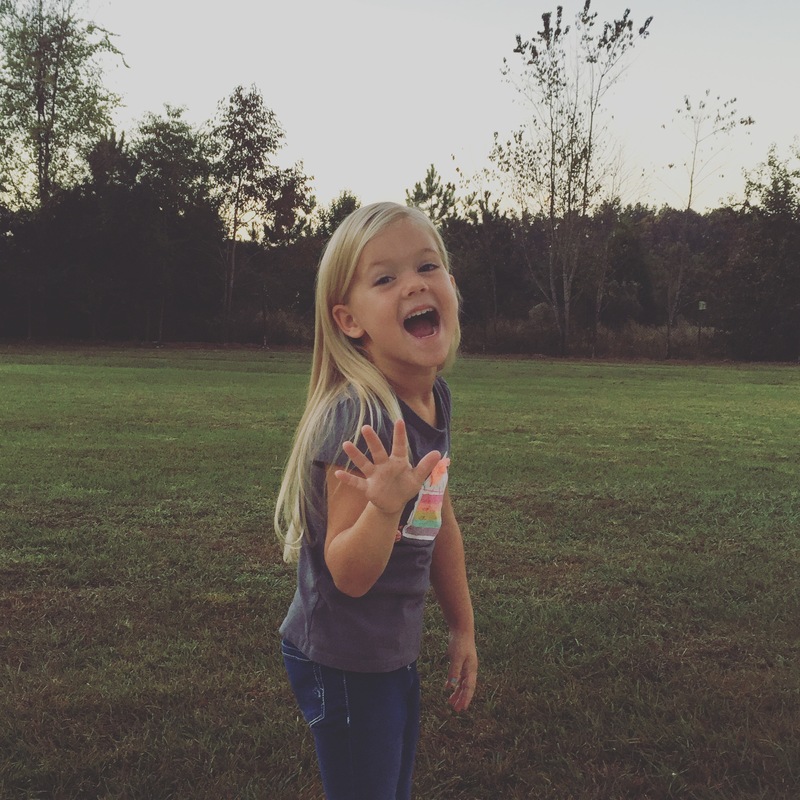 I can’t wait to see how the Lord works in your heart and life for 5!! I love you. This year for your birthday you wanted to have Areil come to our house and put make-up on you and your friends. We had a lovely time celebrating YOU sweet girl.